It was a Valentine's Six Nations weekend that took a little while to get the pulse racing. France's 10-9 win over Ireland was tense, Wales found their groove late on to beat Scotland 27-23, and England opened the floodgates in the last 20 minutes to overcome Italy 40-9. So which of the home nations showed some old traits, who is suffering from inflated expectations and who could do with a change in style? To go and smash Italy required a high-intensity performance that was accurate, clever and smart - and the first hour from England wasn't. It was patchy, inconsistent and looked fragmented. It was a sign of an England side getting used to a new coach. I think Owen Farrell's try - England's last - is how they will want to play. People will say it was Italy getting tired, but you can play with that intent and accuracy from the beginning and England would have worn out Italy far sooner. For me, the visitors looked a little bit like the old England of the past four years. They were taking time to get into their shape. They should be looking to play more with quick ball, momentum and straight running. I'm not sure how long Eddie Jones can hold back the likes of Maro Itoje and Jamie George, because they are having an impact. If they continue on this upward curve they will force their way into the line-up. But I understand what Jones is doing - you have to integrate them bit by bit into a winning team. Scotland need a moment of magic or a piece of luck to get across the line. The expectation on Scotland has been inflated unfairly after they nearly got to the World Cup semi-final. Their win record in the Six Nations is less than 25% (24.39% since the tournament was expanded to six teams in 2000). Statistically this Scotland side is the underdog. We're only thinking differently because we were romanced by their World Cup. 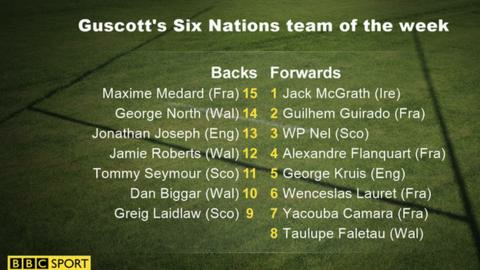 If we picked a British and Irish Lions team today, I don't think any of the Scotland team would get in the starting XV. Are we expecting them to beat sides ranked higher than them in the world? Can bruising Ireland change tack? Ireland head coach Joe Schmidt's tactics are bruising and confrontational and demand dominance up front. They had enough pressure and territory to put the game beyond France - and France are not a very good side at the moment. I'm staggered by the French forwards and their lack of intensity and enthusiasm as a unit. Individually a few played well but as a pack they looked like they had been picked from the stands. Of course I'm being unfair but Ireland had the opportunities to beat them. They don't score many tries and so have to rely on a side conceding penalties and then kicking 21 points. It's a big ask to try to get them to open up because it's a change of style. Wales are changing the way they play when they have ball in hand but Ireland couldn't do it when they needed to against Argentina in the World Cup and there's no reason to think they can now either. Can North prove his hunger? I was pleased with Wales' performance against Scotland, but they were making some errors until their half-time chat. Then they introduced their power players in power plays and Scotland crumbled. Wales won't be incredibly creative because of the skill-set they have, but they play well to the players they do have and I applaud them for that. They've been accused of 'Warrenball' - a mischievous name for head coach Warren Gatland's direct form of rugby - but against Ireland in round one they hit into the middle, went back blind and got wide. They chopped and changed their attacking channels. Against Scotland they appeared to go wide sooner rather than sucking in the defence and they turned that around in the second half. George North hadn't scored in five games and didn't score in the World Cup. A winger of that ability should be touching the ball more than he had. Warren Gatland asked him to prove he was still hungry and if you give him a target of touching the ball 10 or 12 times in a game, one of those will be pretty dynamic - as he showed with his cracking try when he beat five men on his way to the line. 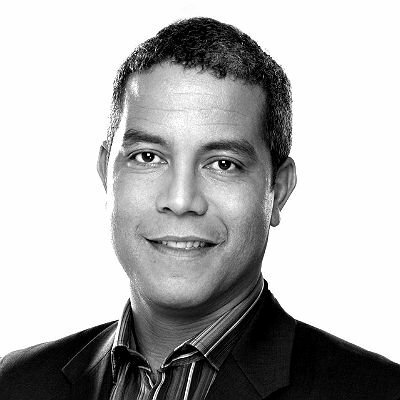 Jeremy Guscott was talking to BBC Sport's Chris Osborne.